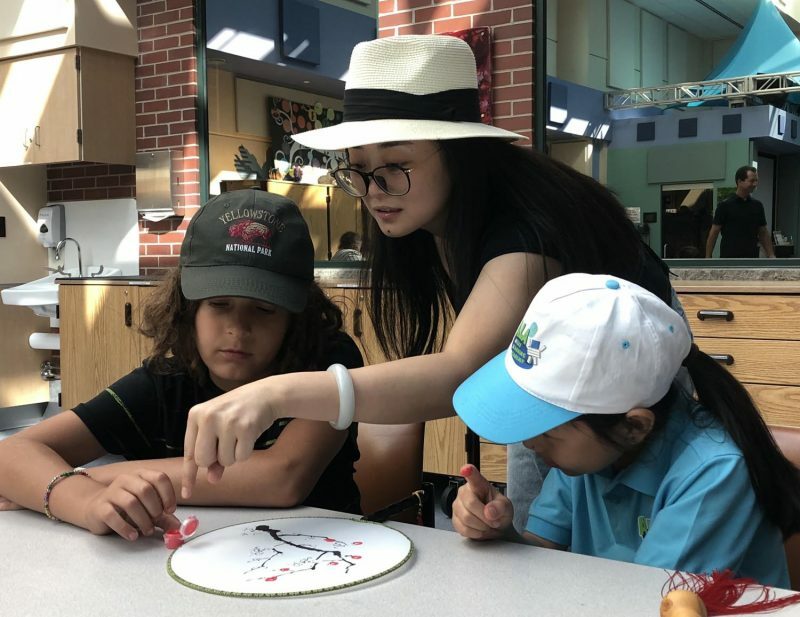 Students of Atlas Learning Academy in Shanghai were busy making about a dozen Chinese fans in our Emily Cooper Wetly Expressive Therapy Center for hospitalized patients. 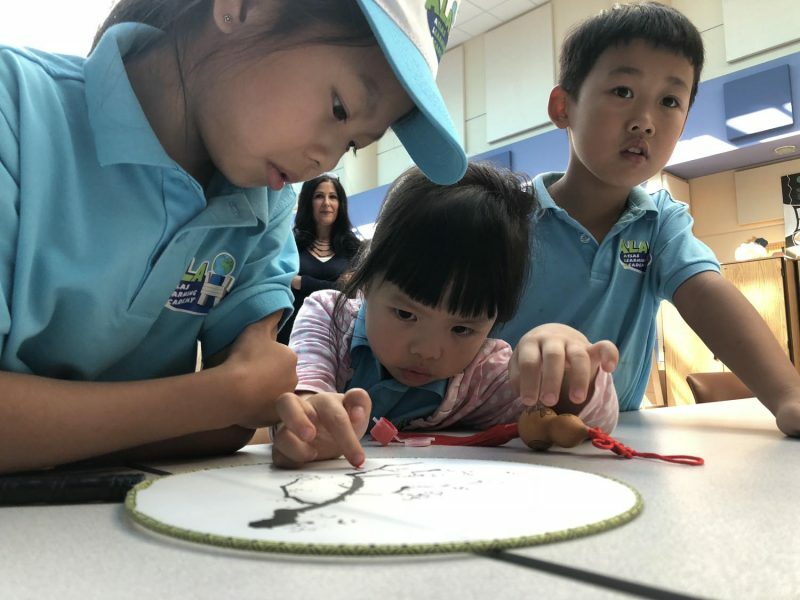 American student Jason Chestnut, age 10, works with Dora, age 9, and Melody, a parent/ trip chaperone, to add color to the Chinese fans for patients. The fan features an image of a tree in Chinese culture known to be beautiful even during tough times. It blooms in the winter without leaves. 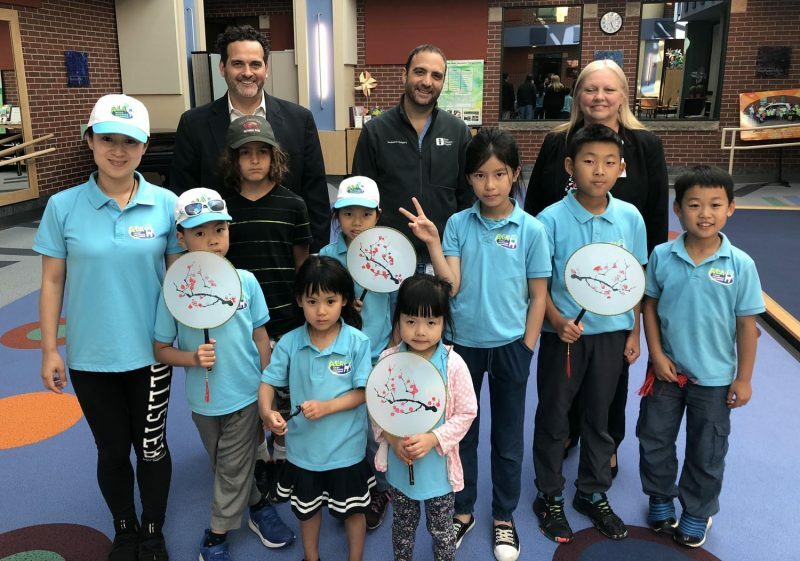 Dr. Todd Ponsky, pediatric surgeon and president of The Lippman School (shown center, back row), facilitated the the partnership during the kids’ 2 weeks of cultural immersion camp in Akron. His 3 daughters attend the school and camp. 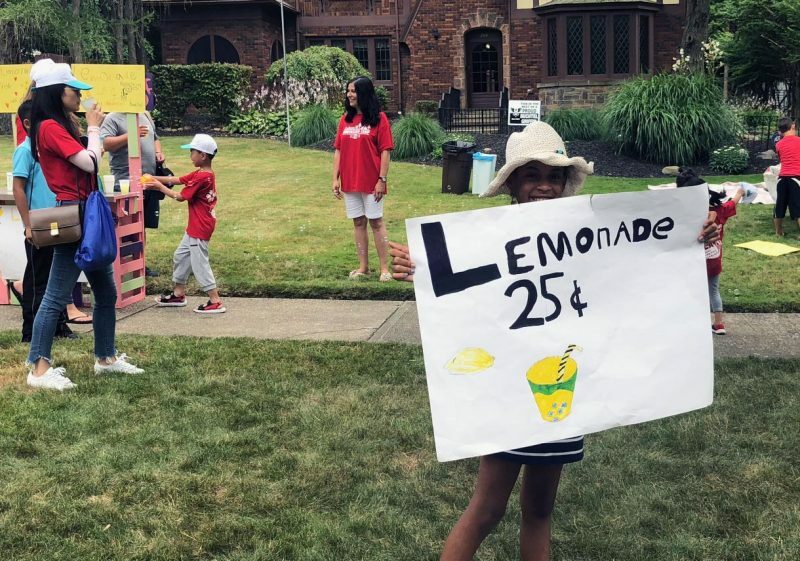 As an economics lesson and service project, the students raised $208 in 2 hours for Akron Children’s Hospital with a lemonade stand in West Akron. 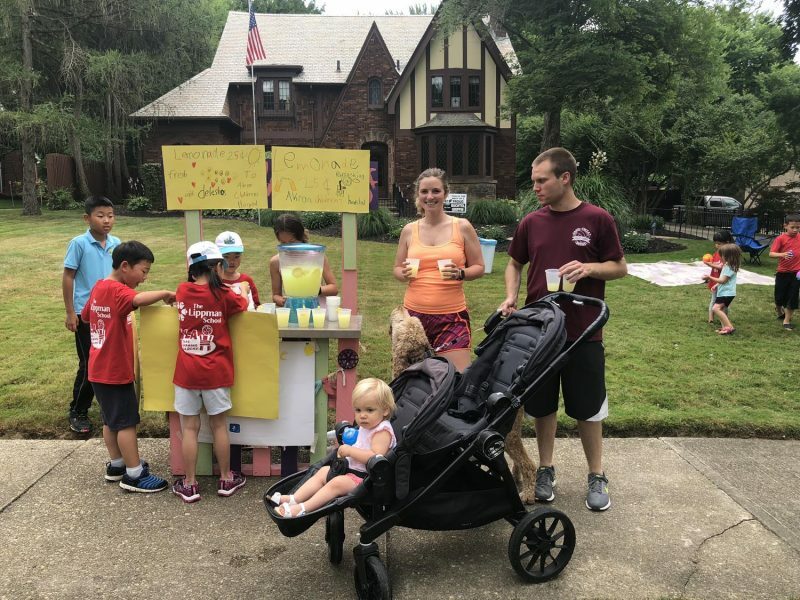 Coincidentally, hospital staff nurse Haley Macewen enjoyed lemonade as she walked by the fundraiser with her family. 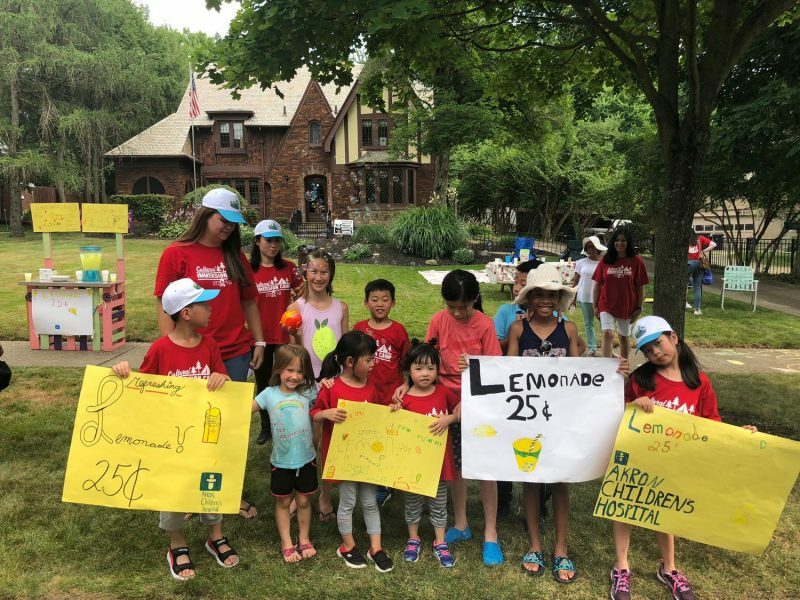 The students enjoyed practicing their English with customers.